Dear college kids of Burlington: There's a new Japanese restaurant in town, and it wants to be your friend. 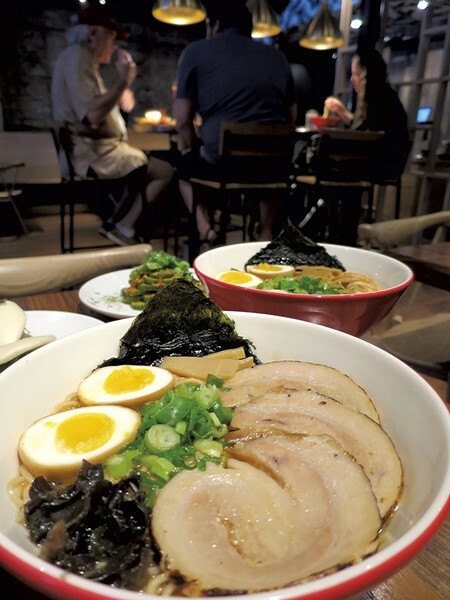 It's named Gaku Ramen, and, right now, it's settling into its new home on the southern end of the Church Street Marketplace. Visit it and you'll find ramen — far better than the noodles you make in your dorm room — and snacks such as edamame and dumplings. Gaku just opened in June and is still learning how to be a restaurant and get along in Burlington. So if it's a little awkward when you first meet, that's why. I went for lunch with a girlfriend a couple of weeks ago. The doors were open to the street, so diners could sit inside or outside and still enjoy the August air. Upon our arrival, a blond hostess bid us welcome. "Irrashaimase!" she said, with self-conscious enthusiasm. "Have you been here before?" "First time," my friend said. "Table for two?" I asked, confused by the greeting. Did she just say "namaste"? As she led us to a table, I considered a strange possibility: Is this a Japanese yoga restaurant? Fortunately, the first page of the menu explains everything. 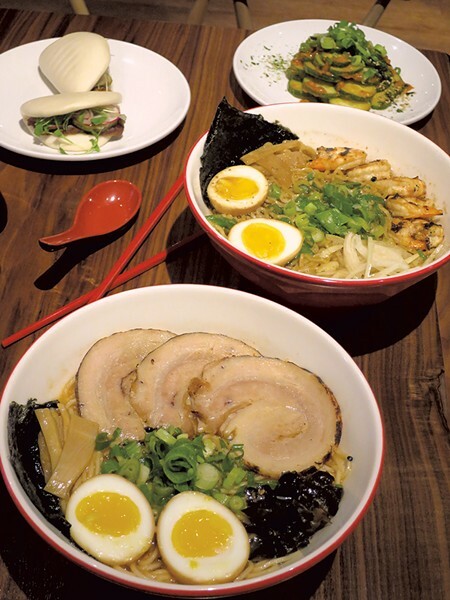 Gaku Ramen is not, in fact, a Japanese yoga restaurant; its "vision" is to "bring delicious, real ramen to college students and college towns." And that greeting? It means, basically, "welcome." "In Japan," the menu says, "customers are greeted with shouts of 'irrashaimase.' 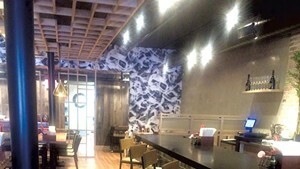 Most ramen restaurants, including ours, like to try to give it a little punch, to get you excited for your Gaku Ramen experience!" That day, my friend and I were excited about ordering some fried shishito peppers ($5.95) to whet our noodle palates. But our server — who seemed quite new to waiting tables — wasn't having it. "I'm sorry," she apologized, "we're out of that today." Anyone who's ever worked at — or eaten in — a restaurant knows that running out of things happens. But when I returned for a second lunch a week later, it happened again. That time, our server — a doe-eyed lass with a nervous smile — advised that the peppers were no longer on the menu. Current mood: You need to reprint your menus, people. I don't usually begrudge trivialities like clueless college-kid servers (I was exactly that for years) or peppers going AWOL. But between my two visits, I received an email from the restaurant's publicist. "Interested in Japanese craft beer?" read the subject line. Of course I'm interested in Japanese craft beer. When I went back, I asked the server about it. "What can you tell me about your Japanese craft beers?" Uh-oh! Deer in the headlights. Eventually, Doe Eyes pointed me to three ales from Kiuchi Brewery, which has been fermenting sake just north of Tokyo for almost 200 years. In the 1990s, it started making beer under the Hitochino Nest label. Gaku claims to stock a ginger ale, a Belgian-style white ale and a rice ale from the brewery. Intrigued, I asked for a ginger beer. The server returned empty-handed. "We don't have that today," she said. The restaurant didn't have the other Hitochino beers, either, so I ordered a 22-ounce (not-quite-cold) Sapporo and sipped it while waiting for a cucumber plate ($4.75) in lieu of the peppers. If the front of the house hasn't quite figured itself out yet, executive chef Leonard Scotti (formerly of New York's Stanton Social) — who replaced opening chef Chad Hanley earlier this summer — runs his line with exacting precision. 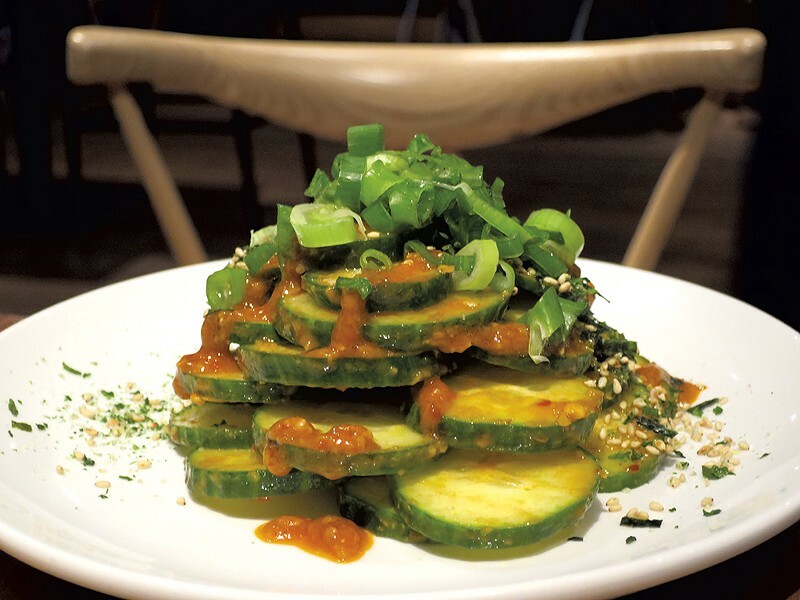 Take the cucumbers: The thin-sliced cucurbits tingled with chile and ginger; an accompanying cup of edamame ($4.95), scattered with fleur de sel, released its beans in chewy green pops. 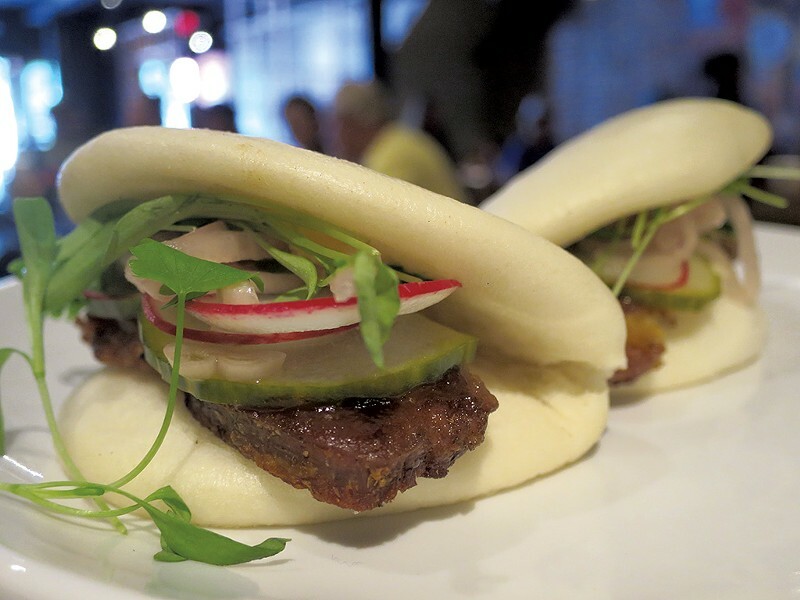 Ask about the starters and your server will rightly direct you to the steamed buns ($7.95). The lofty puffs cradled flame-kissed cuts of pork belly, which were layered with radish sliced so thin it nearly melted into the meat, except for a faint watery crunch. A few leaves of cilantro, too, offered a tiny, punchy murmur. A set of crisp-bottomed gyoza ($6.75) came stuffed with fine-ground, savory pork and pungent scallions. Dipped in sesame-ginger-vinegar sauce, the paper-thin pockets tasted so seriously Japanese that I almost forgot I was on Church Street — that is, until our young American server returned carrying steaming bowls of soup. One basic skill that Gaku Ramen's floor staff has mastered is hustling food from kitchen to table. That's essential at any restaurant, but it's critical with ramen. The dish is best eaten piping hot and quickly, before the noodles soften or the yolks in the marinated eggs begin to stiffen and before the shrimp (in a fish bowl) turn pasty. At one of my lunches, a curl of chopstick-tender chashu pork floated atop a bowl of spicy tonkotsu ($11.50). Beneath the meat, straight noodles broke the liquid surface in graceful curves. A split egg bobbed on one side, surrendering its belly in yolky orange relief. Some people like to spill the eggs into the soup, thickening the broth and helping it cling to the noodles. But when the egg is just right, I can't resist eating one half — and sometimes the other — straight away. At Gaku, I relished first the cool and gooey yolk and then the springy, vinegar-tinged orbs that followed. As I pulled endless noodle ribbons from the bowl, the broth was so dense and rich in garlic-laden, porky essence that it seemed to wobble rather than splash — a hallmark of any good bone broth. With each bite, chile spice grew from a tickle to sinus-clearing satisfaction. I cooled it with sips of crisp, pale lager — this time, properly chilled. My friend's sakana shoyu bowl ($15.95) was crystal-clear and far lighter than my tonkotsu. Still, the soy-based soup twinkled with pungent jewels of sesame-ginger-fish oil. Five hefty shrimp — each cooked to a supple ideal — hugged the edge of the bowl. Pickled bamboo shoots and sliced onion boosted each chewy, noodle-y spoonful. 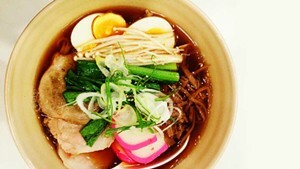 At its core, Gaku Ramen is a soup joint. 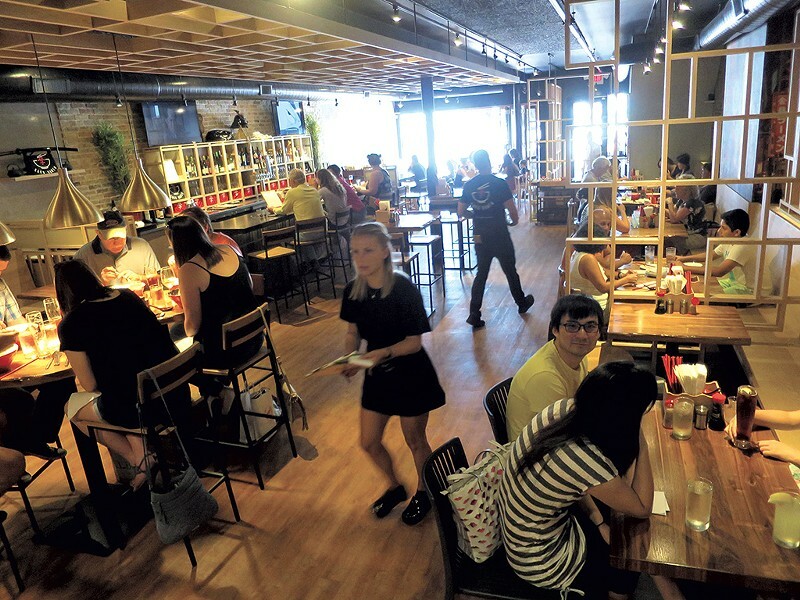 Its owners — Dartmouth College grads Ryan Goldstein and David Stone and Middlebury College grad Michael March — flew two ramen masters from Tokyo to Burlington earlier this summer to school the staff in the right way to ramen. The restaurant's core recipes came from these noodle sensei. The noodles themselves come from Jersey-based Sun Noodle, which supplies NYC ramen giants including David Chang and Ivan Orkin. Perhaps for variety's sake — or to accommodate a gluten-free crowd — the restaurant offers rice bowls, too. These are well crafted but forgettable. On my second visit, my date's rice came topped with grilled salmon ($13.95) that was gingerly seared and a shade darker inside — as it should be. The rice was standard pan-Asian fried rice, livened with a scoop of sparkling red tobiko and scattered scallions and sweet corn. My hiyashi chuka ($10.95) — cold noodles splashed with sesame, soy and rice vinegar and topped with cold scrambled egg, pickled ginger and chicken chashu — seemed like an agreeable option on a hot afternoon. Scotti's execution was on point, but the dish fell flat — diet ramen, if you will. In Japanese, the menu tells visitors that "gaku" means study or learning. It's an apt name, not only in service to the youth it employs and hopes to feed (throughout September, Gaku is offering a 20 percent discount to students with college ID) but to the restaurant itself. Later this month, the noodle masters will return. According to Gaku's management, they'll check in with the kitchen and make sure the cooks haven't strayed from their recipes' Tokyo origins. Maybe they'll get the kids out front — or the people who supervise them — to sharpen their pencils, too. The original print version of this article was headlined "Soup Studies"